My New Happy: Happy Spring! The rain may have returned to Seattle, but the flowers are growing, the frogs are singing (so loudly they keep me awake at night), and spring is in the air. Yesterday T told me that he has senioritis - and he's only a junior. I'm pretty sure it's just spring fever, and I've go it too! It's time to break out some new spring fashion and try a pretty nail color. 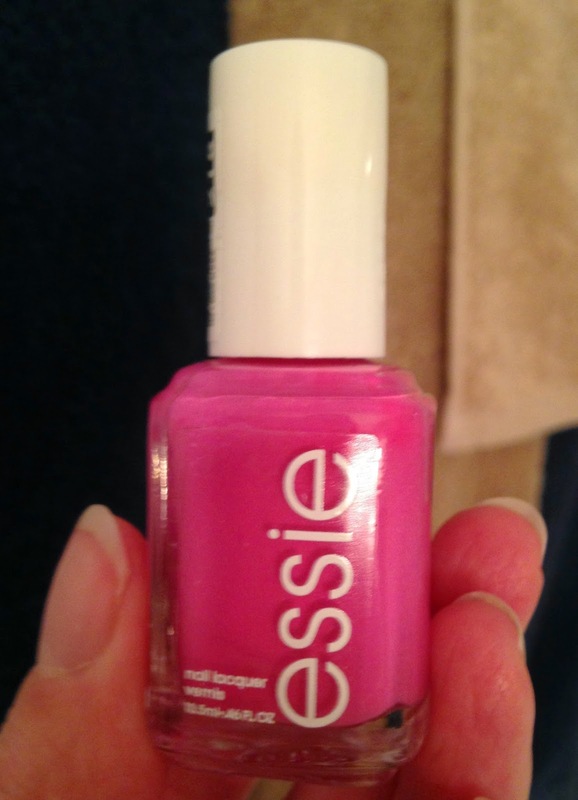 My favorite this month is "Madison Ave-Hue" by Essie. It's the perfect pink shade for spring. And I can't keep this new hand soap from Bath and Body Works to myself. Every time I use Honolulu Sun I feel like I'm sitting on a tropical beach with a Mai Tai in hand. It smells amazing. If the weather cooperates I'll be heading outside to do a little yard work this weekend. 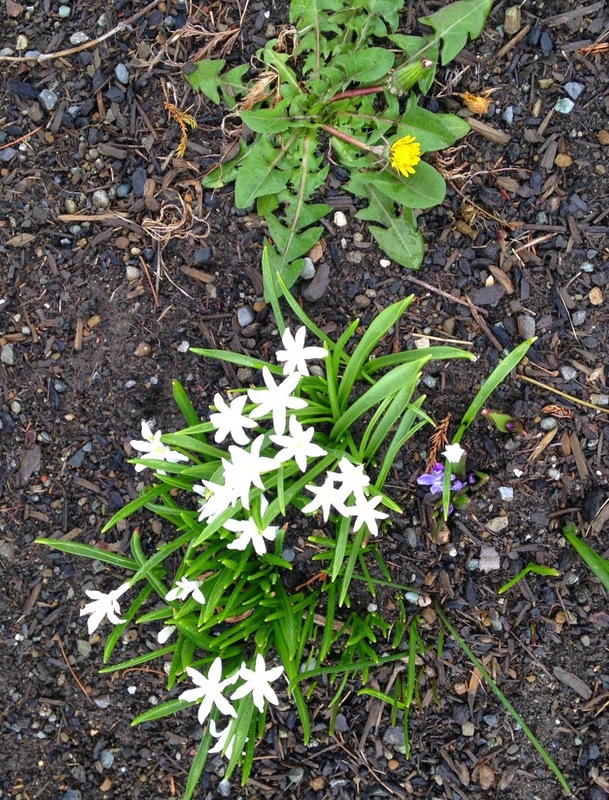 On my way to get the mail yesterday I noticed these flowers poking through - and the weeds next to them. Time for some gardening. Happy Spring to you too! The flowers your mom got you are so pretty! We are starting to see green poking up through the ground here - but nothing is flowering yet! Have a wonderful weekend! Oh i just love your spring flowers! So happy and colorful. Loving that nail polish! My daffs are up and the tulips are budding so yes, there's hope. 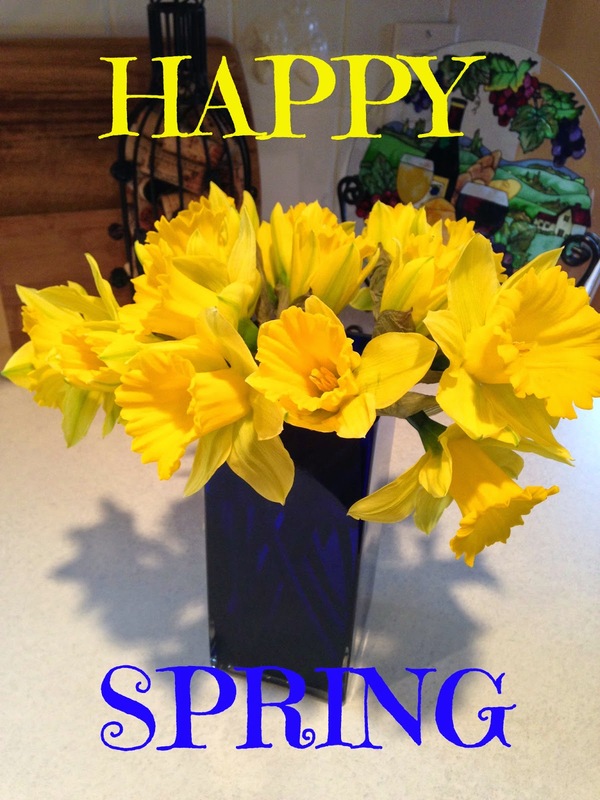 Happy Spring to you and have a wonderful weekend! Hi Lana, happy spring! The nail polish is such a pretty pink shade and the body wash sounds nice too. Have a nice weekend. I love Essie summer colors!!!! And that hand soap sounds heavenly. Thanks for the heads up! Happy spring! Yay spring! I love the warmer weather. I'm definitely ready for some warm temps and sunshine. We had a teaser for a couple of days last week. We were just talking about getting the yard in shape next weekend for our Easter get together. It'll be a busy one...for the husband at least haha! So excited for Spring and everything that goes with it!!! Oh my word, those flowers are gorgeous! 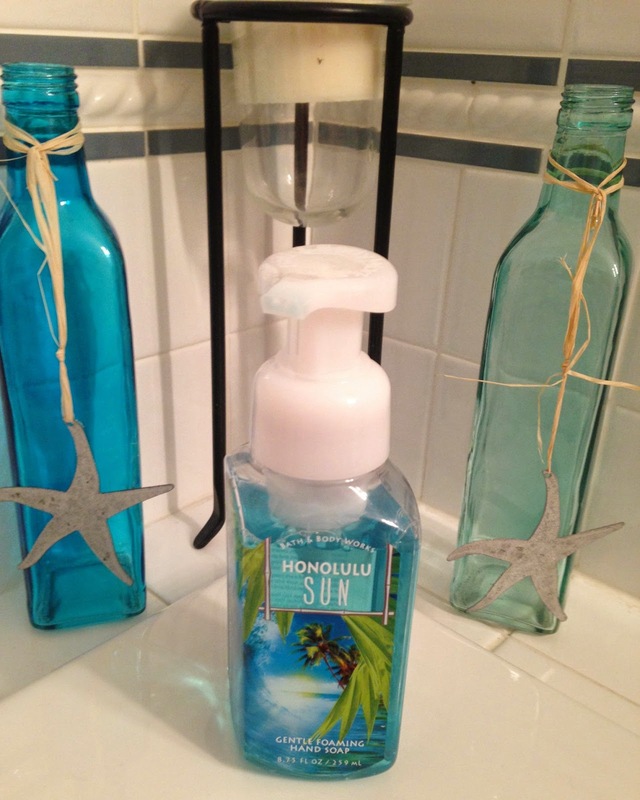 And I just picked up this soap last week from B&BW--I believe I'm in love and now in much need of a beach vacation! I used to get senioritis and spring fever, often at the same time. Spring hasn't hit here. It was 16 degrees this weekend and I nearly cried. I know that will soon be a distant memory and we'll be in the garden. Frolicking!